Well that didn’t take very long. 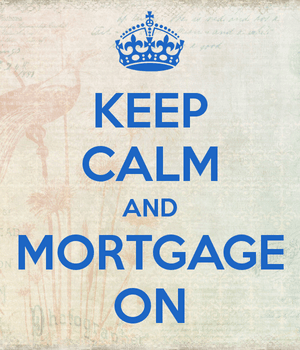 Just a week into 2015 and HUD is planning to lower mortgage insurance premiums on FHA loans. Technically, the news isn’t official yet, but every major media outlet is reporting it thanks to “people with direct knowledge” of the initiative. For the record, the FHA has been raising mortgage insurance premiums for years now to shore up capital reserves after losing its shirt on high-risk loans during the mortgage crisis. It’s still not fully healed, but this move seems to be the direct result of pressure from politicians and industry trade groups to make FHA loans more affordable. After all, some 375,000 prospective home buyers might be shut out at the moment. Update: Pictured above is the new annual mortgage insurance structure, as outlined by HUD. Notice that the premiums for 15-year loans are unchanged. It will go into effect on January 26th, 2015. If you already have an active FHA Case Number, the FHA will temporarily approve cancellations within 30 days of the effective date of mortgagee letter (2015-01). Also note that this change does not apply to streamline refinances of FHA loans that were endorsed on or before May 31, 2009. What we know so far is that the annual MIP on FHA loans currently set at 1.35% will drop a half percentage point to 0.85%. By the way, it’s not 1.35% for all borrowers, and that’s where some of the uncertainty in this change lies. Only FHA borrowers with LTV ratios above 95% and loan terms greater than 15 years are currently paying 1.35% in annual mortgage insurance premiums. Borrowers with higher loan amounts are paying as much as 1.55%, while borrowers with 15-year fixed loans are paying as little as 0.45%. That being said, I don’t think the .50% reduction in MIP will apply to all FHA borrowers. My guess is that it only applies to those borrowing more than 95% of a home’s value. More details are supposed to be revealed during a speech by President Obama in Phoenix tomorrow. In the meantime, prospective FHA borrowers can anticipate saving a little bit of money each month thanks to the lower premiums. On a $250,000 loan, the monthly MIP fee at 1.35% is currently $281.25. If the fee drops to 0.85%, the monthly MIP would be only $177. That’s an annual savings of $1,250. It might not seem like a lot, but every little bit helps. And the lower fees could even make qualifying easier with strict DTI ratios now in place. The lower fees also mean the FHA will be able to compete with conventional lending, which has become a lot more popular thanks to all those premium increases in recent years. The FHA was at great risk of losing even more market share thanks to a recent policy change at Fannie and Freddie to allow 97 LTV lending again. So perhaps this is a defensive move to maintain market share at the FHA. The bad news is that the annual mortgage insurance premiums will still remain in place for the life of the loan. This was perhaps the worst change in recent history, and the lower premiums won’t change that. Yes, the fee reduction will lead to a lower monthly mortgage payment, but it won’t change the fact that FHA borrowers pay it for 30 years in many cases. I’ll provide updates once the official news is released tomorrow. Overall this is great for borrowers who need FHA financing, especially with mortgage rates so low at the moment. Update: The announcement is now official, though it’s still unclear if premiums at levels other than 1.35% will be lowered as well. And if so, by how much. We now know…and it’s pictured above. The new Cut in Annual Mortgage Insurance is a great benefit to borrowers. Anyone who has an new FHA loan in the last 2 years should be doing a Streamline Refinance today. The combination of rates in the 3’s and the lowering of the MIP from 1.35% annually to 0.85% annually makes doing a refinance an almost must do for all FHA borrowers. I bought a home last year in April, 2014. It’s an FHA @ 4.25%. I’ve called a couple of lenders and it appears that you have to still pay thousands to do a refinance. So this makes your home loan at a higher amount. I don’t have any money to put down for a refinance, so is it still a good idea to refinance? It’s possible they can lower your rate and use a lender credit to cover closing costs, but another thing to consider is that mortgage insurance may be in place for the life of the new loan.